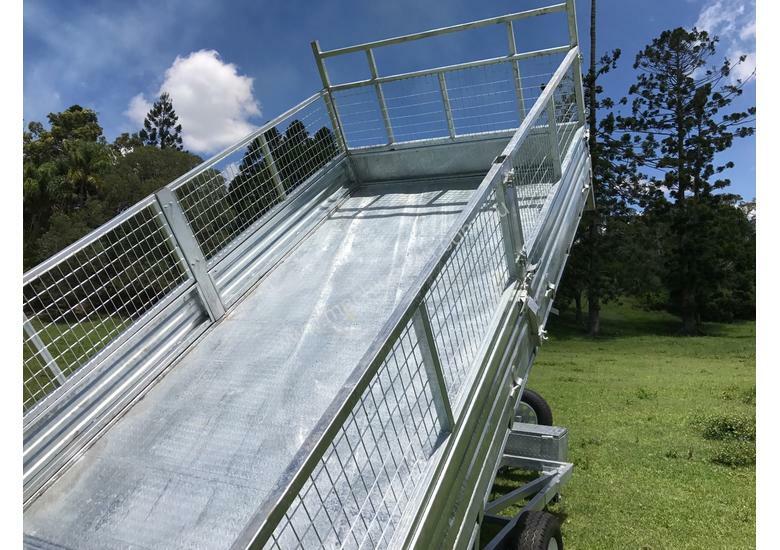 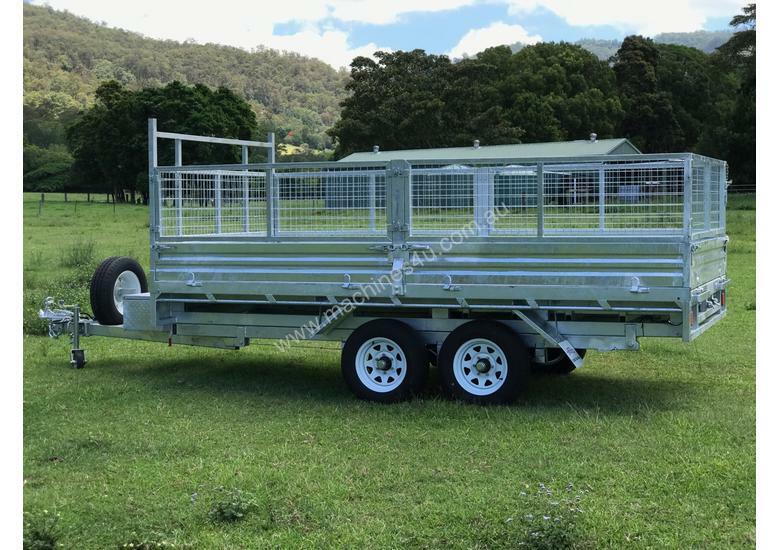 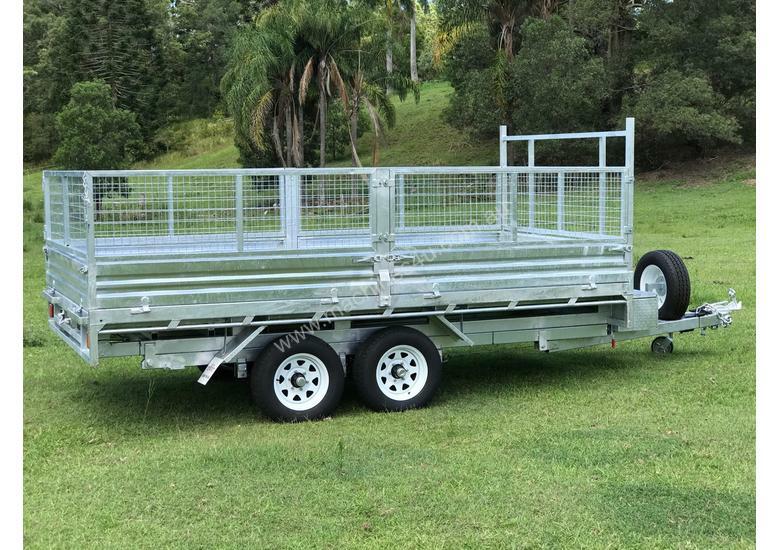 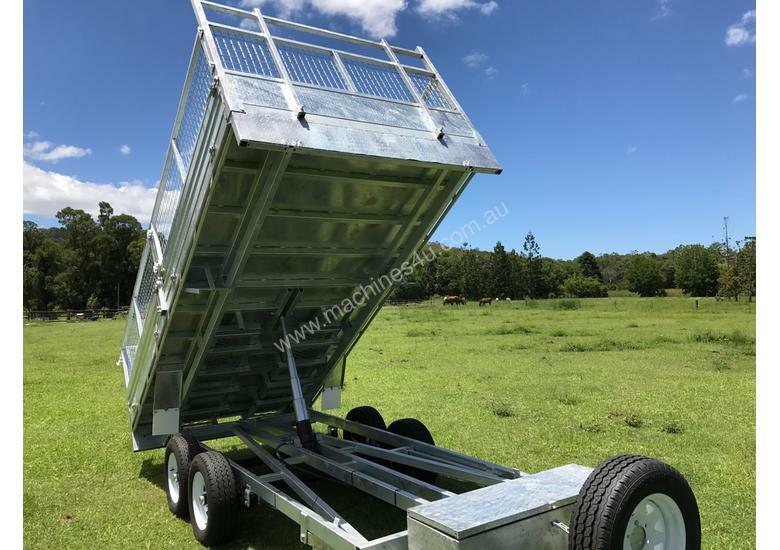 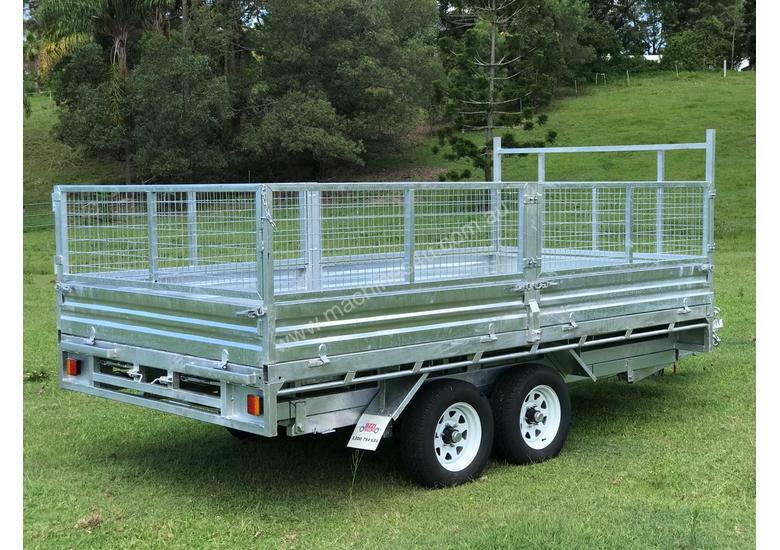 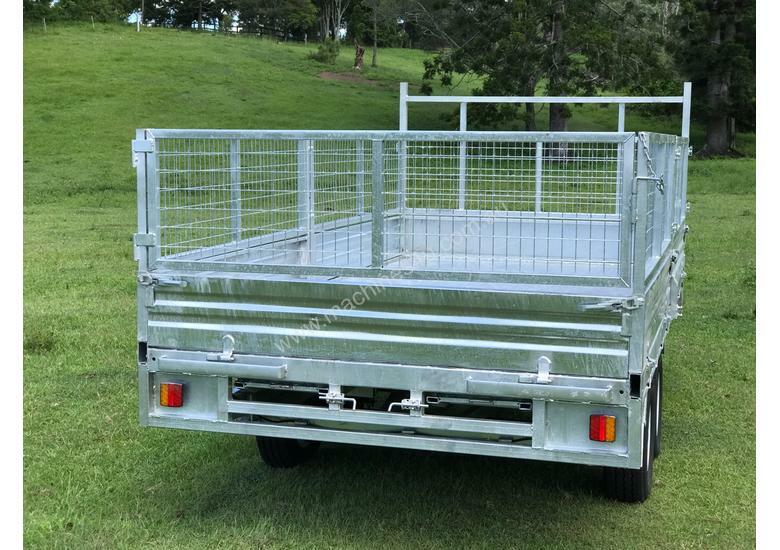 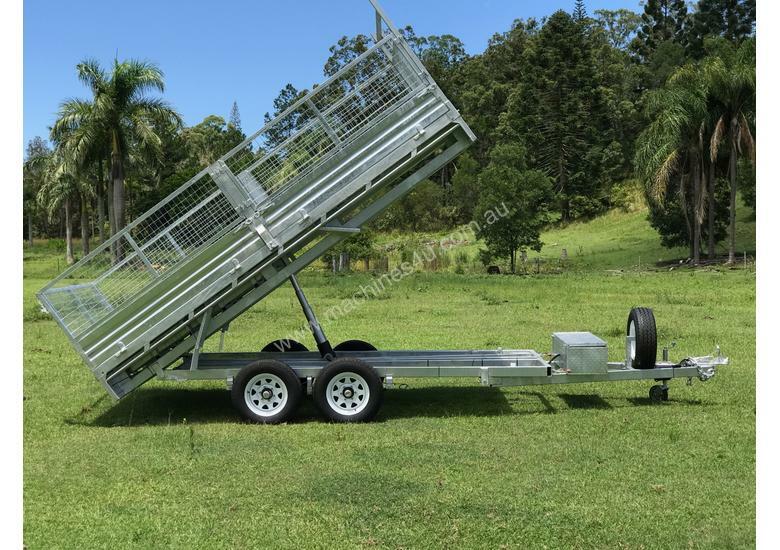 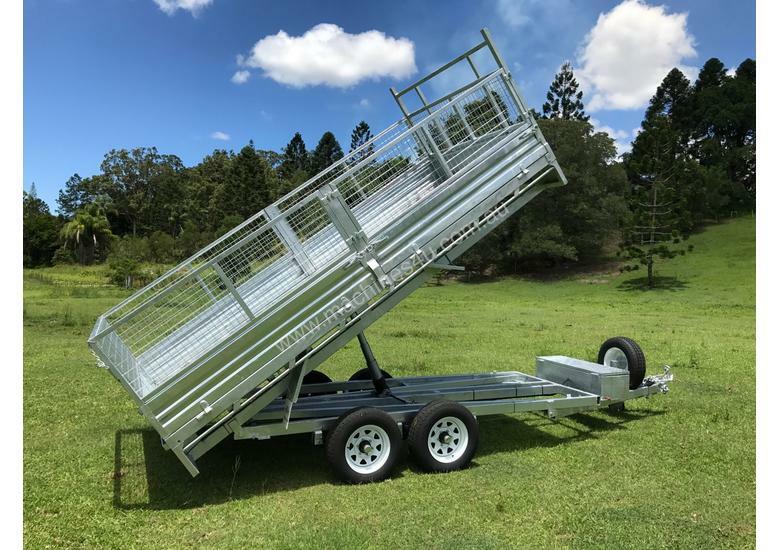 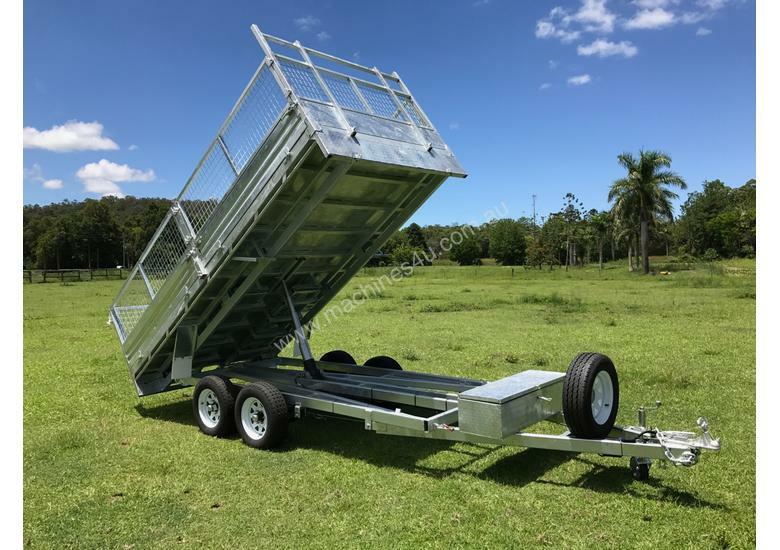 Ozzi Trailers 14 x 7 ( 4.2m x 2.1m) Hydraulic Tipping Trailer with Ramps. 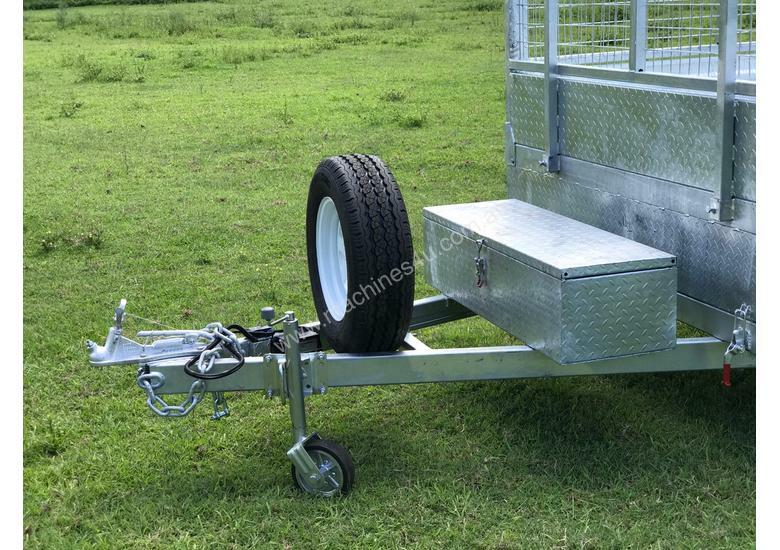 This trailer is a versatile piece of equipment. 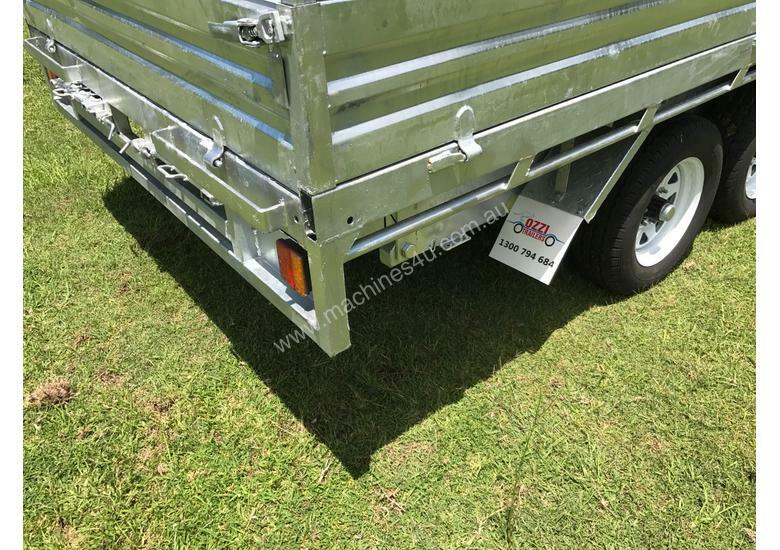 With solid 63mm Round axles its able to carry a payload of 2020kgs with a tare of 1480kgs. 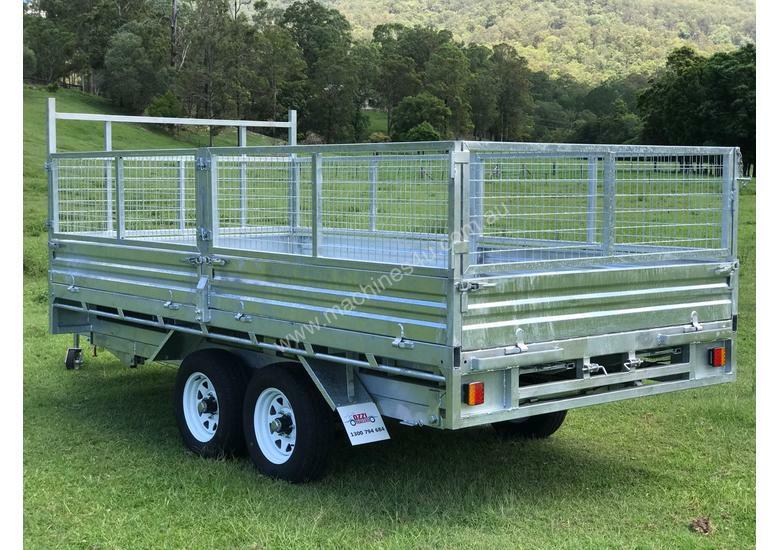 12 inch Electric brakes on all 4 wheels provide the stopping power you need and a five stage 3500kg hydraulic ram is powerful enough to deal with any load you need to tip. 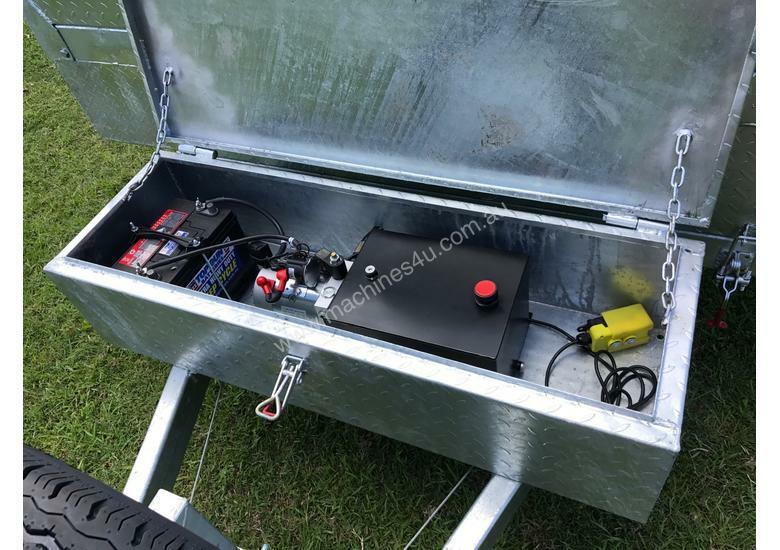 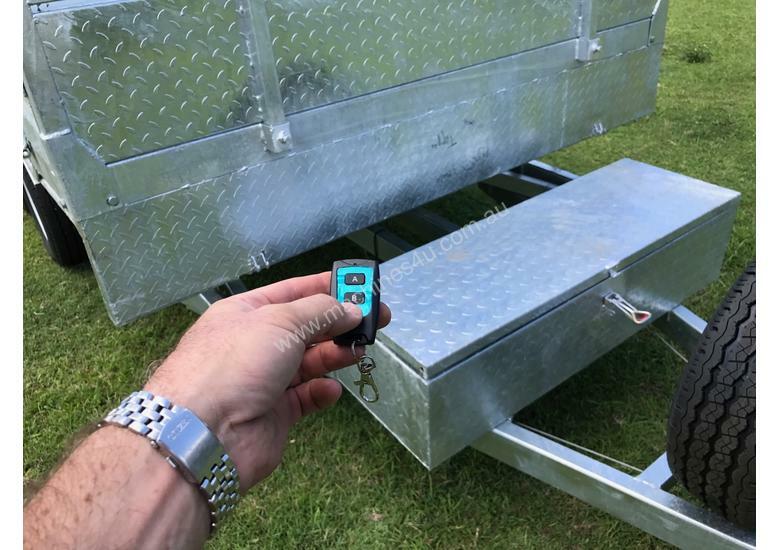 Complete with corded and wireless remotes the hydraulic pump and deep cycle battery are housed in a lockable steel toolbox mounted on the drawbar. 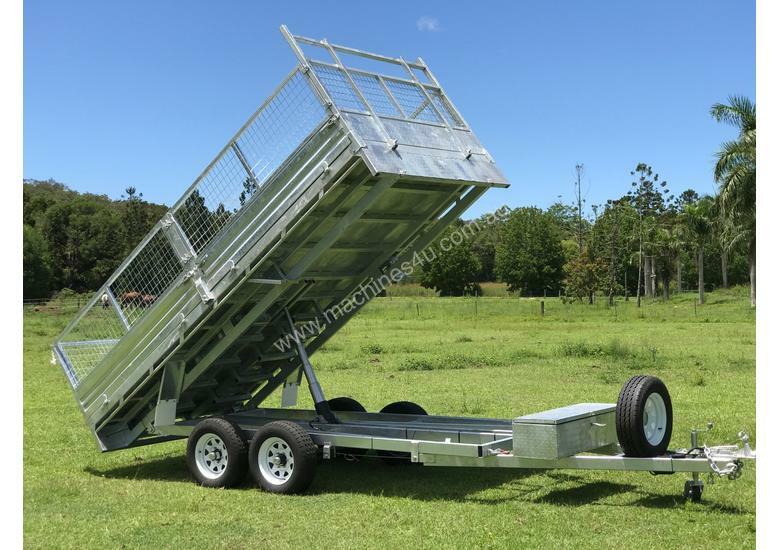 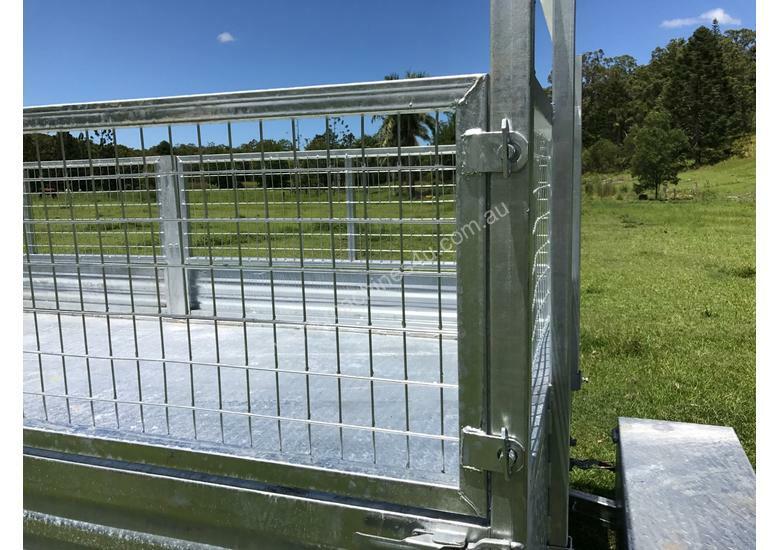 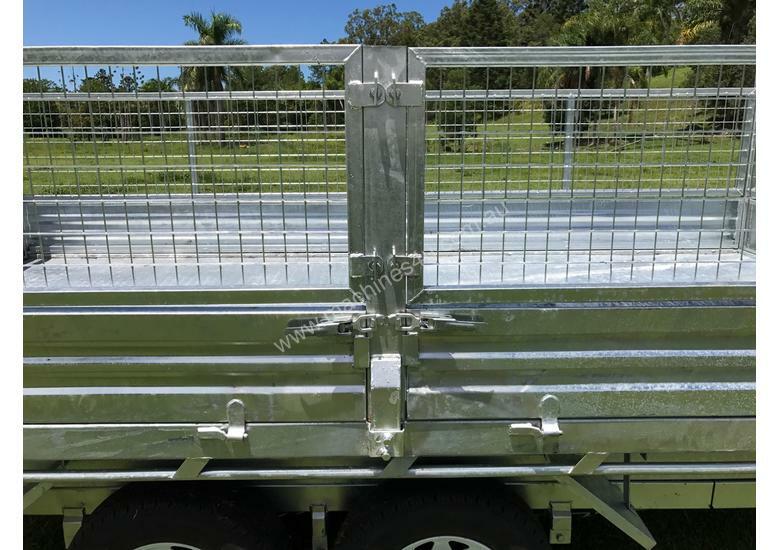 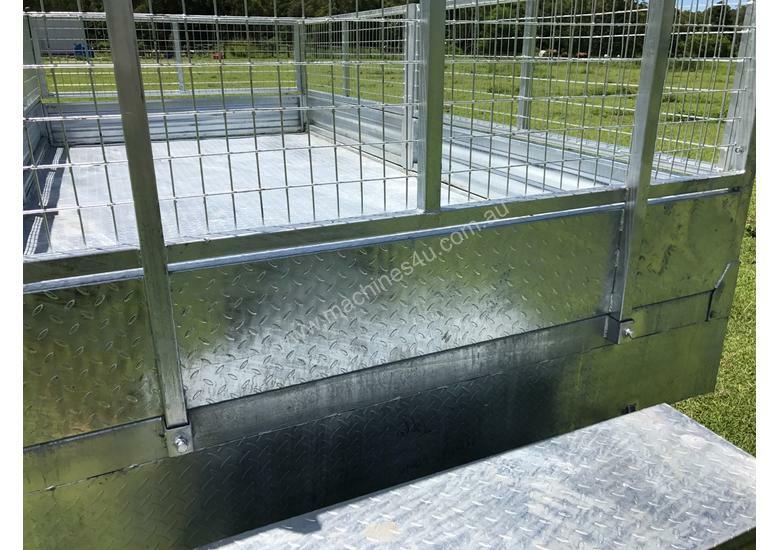 All sides and cages are removable providing you with a true flat top trailer. 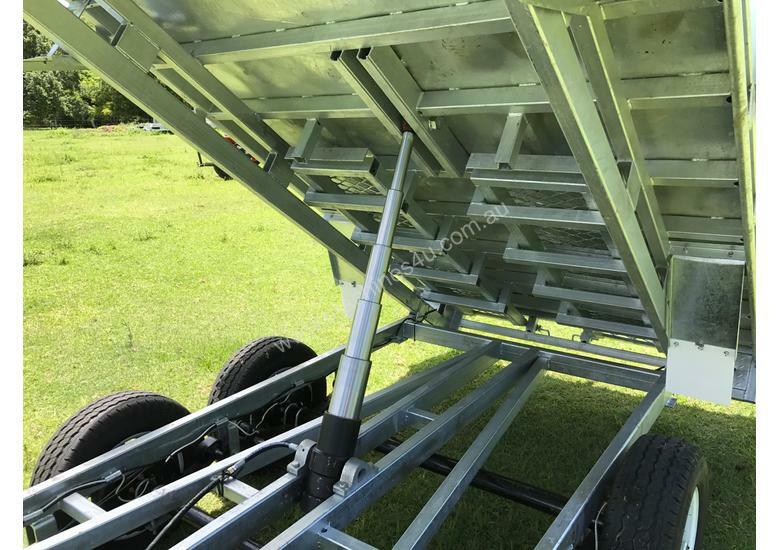 A pair of ramps is housed under the trailer for those wanting to carry an excavator, tractor, skid steer etc.